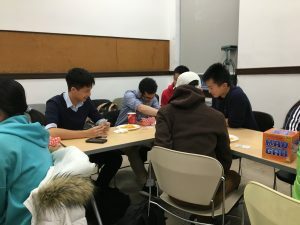 To cheer you guys up, let us reminisce about the good times we had just before reading week. 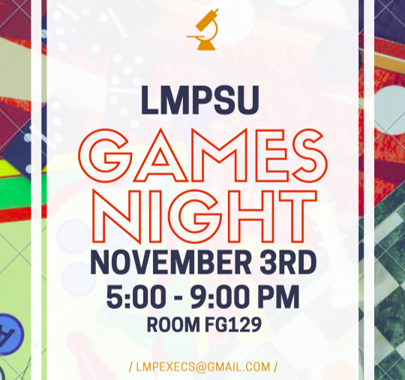 On Nov 3, LMPSU hosted the first games night of the year! 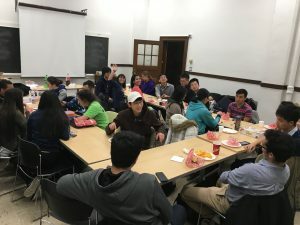 We had an excellent turn out, so thank you to everyone who came to join us! We had so many different games to play, served with loads of free food and drinks too. 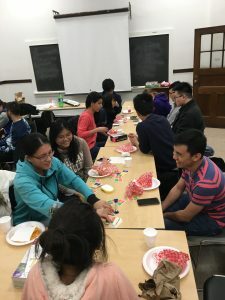 I personally was having too much fun playing Taboo so I didn’t really keep track of what everyone else was doing but everyone seemed to be having a great time, regardless of what board game they chose. In all, it was a fantastic night and a great way to wind down and relax. Enjoy some pics from that night here!